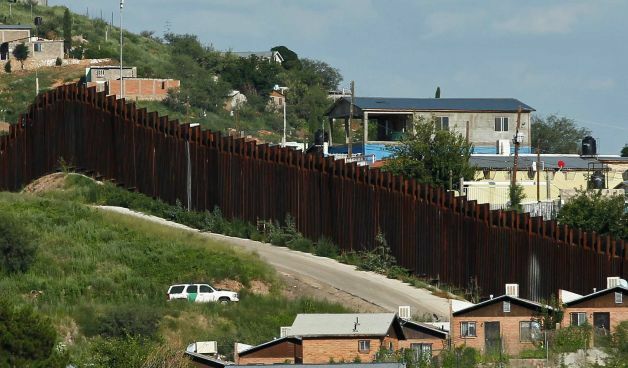 PHOENIX (AP) — A U.S. Border Patrol agent opened fire on a group of people throwing rocks from across the Mexican border, killing a teenage boy and eliciting outrage from the Mexican government over the use of lethal force, authorities said Thursday. Mexico's Foreign Relations Department issued a statement later saying it "forcefully condemned" the shooting and calling such deaths "a serious bilateral problem." "The disproportionate use of lethal force during immigration control actions is unacceptable under any circumstances. The repeated nature of this type of cases has drawn a reaction of rejection from Mexican society and all of the country's political forces." The department said it had asked U.S. authorities for a "exhaustive, transparent and timely investigation" of the shooting. The Border Patrol declined to comment further and would only say in a statement that one person "appeared to have been" shot by the agent. The FBI was investigating. A U.S. Department of Justice investigation, which included interviews with more than 25 civilian and law-enforcement witnesses, determined no federal civil rights charges could be pursued because "accident, mistake, misperception, negligence and bad judgment were not sufficient to establish a federal criminal civil rights violation." The Border Patrol said agents were aboard a boat near Laredo, Texas, when a group of people began throwing rocks at them. One of the agents fired shots across the border toward Nuevo Laredo. The agency said it wasn't clear whether anyone had been hit by bullets, but Mexico's Foreign Relations Department issued a statement saying a Mexican citizen had been fatally shot.